Toon's Tunes : The War on Drugs: A Deeper Understanding. That's how you release an album. The War on Drugs: A Deeper Understanding. That's how you release an album. 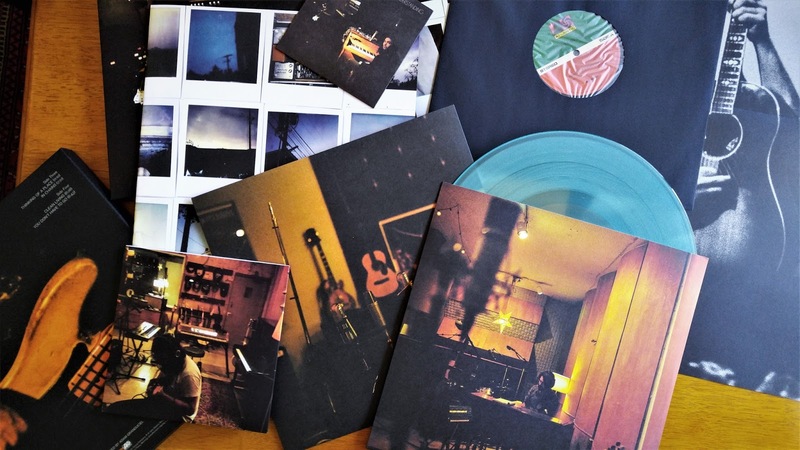 The War On Drugs' latest album, A Deeper Understanding, was released at the end of last week. I've been listening to it all weekend. On repeat. It's beautiful. The upbeat songs with the driving beat; close your eyes, you're on a train in the dark, you're riding horseback through the desert under the moon, you're dancing blind. The slower songs, emotional and thoughtful and drifting, timelessly. Deep, layered, timeless, wonderful music. And, those moments when The War On Drugs hits a sequences of sounds that resonates somewhere so deep, you laugh and cry and sigh at the same time. I know Adam Granduciel has a reputation for perfectionism. This time? It's not only the music itself. It's perfection of the delivery of the release, too. The electronic download arrived overnight, and by midday someone was knocking at the front door to deliver the vinyl. I had forgotten what I'd ordered--it's been a while--thought it was just the the vinyl edition. But no: it's a box set, a treasure trove containing layer after layer of goodies: the double vinyl, and a special mix 12" for Record Store Day, and the album on CD, plus a vinyl 45of Holding On/Nothing To Find; a beautiful lyric booklet, same size as the box, and even a poster. That's how you do a release. This album is going to be on repeat in my house for a long time to come. Here's a sample: the official video for Holding On. In case you missed it, here's The War On Drugs at Sacramento's TBD Fest in 2014, when I saw them for the first time. Click through to the photo gallery! Find The War On Drugs on Facebook and their website. Tour dates are here: road trip, anyone?